I think that commercial pretty much sums up my feelings whenever Theo speaks. Over the past six summers, Theo’s been pretty transparent about what the Cubs plans are. And whether it’s a conversation in spring training, the convention, or his post-mortem at the end of the year, he comes across very honest to a point. Sure, there are some things he won’t discuss and I don’t have a problem with that. Cub fans are not entitled to know everything. But when he does speak, it’s always an interesting listen. This week was no different as Theo sat in on the Spiegel and Parkins show on 670 The Score. I was at school when this occurred but I was able to catch up and give it a listen a little bit later. Here are ten key things that I think stuck with me from the discussion. 1. On His Sitting in the Scout Seats at Away Games – “There to watch pitching.” It was interesting to hear him talk about just exactly what he sees when he sits back behind home plate in an away game. In addition, I found it fascinating to hear him discuss that he actually is watching the game on TV when he is in a suite at Wrigley. 2. Jon Lester – “He has a lot of different ways to get guys out. There’s a lot of good pitching left.” It was quite clear from that statement that Jon Lester doesn’t have his best stuff anymore. Then again, it was also quite evident that Theo knows Lester can still pitch and find ways to set hitters up and be a leader in the clubhouse. 3. The Influence of the late Kevin Towers – Theo gushed in explaining how Towers taught him how to scout and how to evaluate players. What I was most taken with, in somewhat of a eulogy, was how Theo explained how makeup is probably the most important aspect of a player. Mr. Epstein went into great detail on detailing Tower’s influence in determining how to figure out a player’s makeup. 4. Insight into Kyle Hendricks – When referring to Hendricks, Theo said, “If I was starting a company, I’d hire him.” When I heard Theo gush about Hendricks’ makeup, personality and intelligence, I wondered how long before the Cubs might extend him. Based upon who is going to be a free agent next year, and the fact that Hendricks is signed for two more seasons, we will just have to wait until 2019. 5. Developing Pitching on a Regular Basis – “It just doesn’t happen. There’s so much attrition.” […] You have to allocate your resources.” This was one of the more interesting aspects of the conversation. In it, Theo espoused his theory of assembling a pitching staff at the major league level. He said that no team has shown the ability to develop their own pitching consistently. At first, it came across as a condemnation. But as I begin to think about it, he’s right. If a team did do this, they would be in the playoffs year in and year out. Instead, the teams that are get their arms in variety of ways including trades, free agency, and reclamation projects. That is exactly how the Cubs and Astros have done it most recently. 6. Neuro Scouting – Theo has talked about this topic before. So, it was no surprise to hear him mention it again. 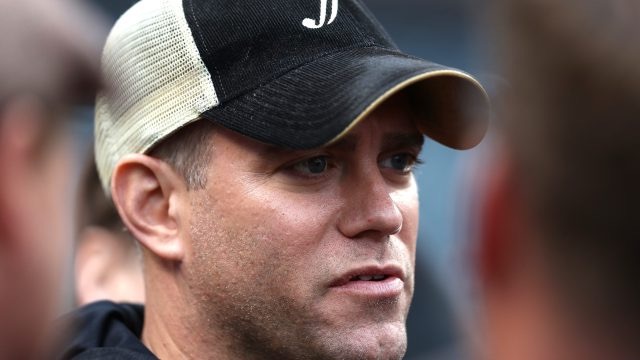 Epstein did explain its uses at the major league level and in the draft, but he didn’t explain how it is being used in the minors. I would have liked to hear some more about that. 7. Comparative Advantage – While he didn’t mention Adam Smith’s The Wealth of Nations, Epstein did reiterate why the Cubs have been able to build this team from the hitting on up. And by having a surplus of hitters, that allows the Cubs to be very picky on they use those assets to acquire pitching. Theo doesn’t have to trade anyone he doesn’t want to. And right now, Theo doesn’t want to, nor does he need to. 8. Ian Happ Reshaping His Body – Epstein went to great lengths to describe his conversations with Ian Happ at the end of last year about “Getting in the most athletic shape possible” for the 2018 season. Epstein said that Happ “Got really twitchy” over the winter. Three HRs in one week of spring training show that. The most interesting aspect of the whole interview occured when Theo explained that no one in the front office saw Happ’s ability to play center, and improve at it so quickly, coming. That was very refreshing. 9. Didn’t Get That Close on a Trade for a Frontline Starter Deal – “Getting 50 cents back on the dollar.” “Never really got that close.” It was interesting to hear Theo basically say that other teams lowballed the Cubs. He didn’t say it in so many words, but Theo clearly felt that if the Cubs were going to trade for a starting pitcher this past offseason, they were clearly not getting what the Cubs’ brass thought was equal value for one of their young position players. 10. Effusiveness – When Theo wants to speak, he does. And in doing so, it is always insightful as he gives everyone a sneak peak into the processes of running a major league ballclub. Whether he is describing a player’s makeup, development, a trade, an acquisition strategy, or just an overall ambience of the team and marketplace, it is an exciting listen. I do find myself leaning in like the commercial at the top of the article. Whether it’s on the radio, on TV, or the Internet, I don’t remember that sort of insight so well eloquated as Theo does it.